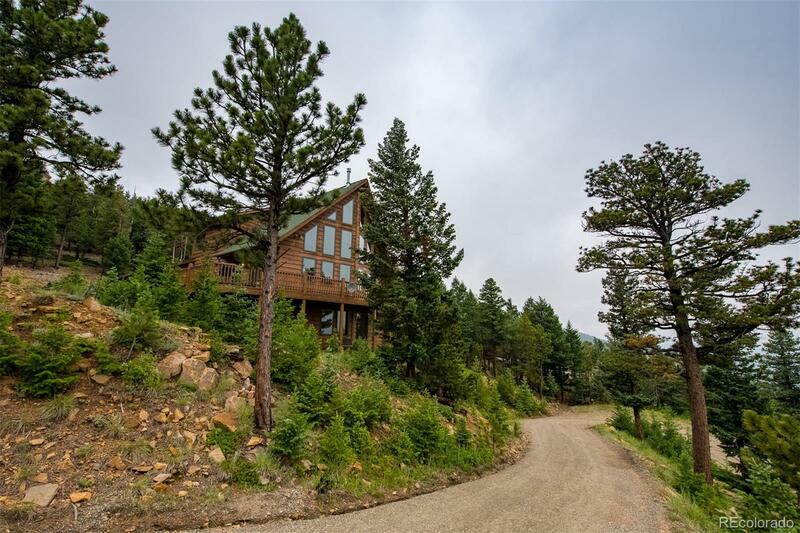 The spectacular views of this comfortable and cozy mountain home can be enjoyed from the multiple expansive windows which surround the kitchen and living areas. The great room features nice high ceilings and big windows, which invite the natural surroundings indoors. Entertain friends and family in this well designed open floorplan environment where the indoor living spaces connect flowingly with a fabulous exterior deck. One bedroom and a bathroom are located on this floor. The master suite is located on the upper level with a luxurious 5-piece bathroom. The lower level walk-out hosts an ample family room, another non-conforming bedroom that is used as a media room plus a half bathroom. Enjoy the solace and serene beauty of nature in this alpine wonderland within this highly sought after Evergreen-Saddleback community. This haven and lifestyle beckon the discriminating seeking an enduring retreat. The large 3 car garage is spectacular.